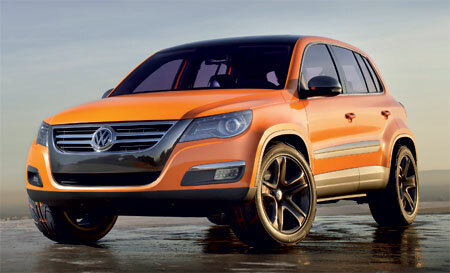 Volkwagen’s Tiguan Concept showcases a preview of it’s upcoming mini Touareg – a small SUV pitched against the likes of the new 3rd generation Toyota RAV4. The concept car being presented at the LA Auto Show is powered by a new â€œClean TDIâ€ engine which includes a NOx storage catalytic converter and as a whole reduces nitrogen oxides by up to 90% compared to engines known today. Improving turbodiesel technology is very important for car manufacturers who want to increase market share in the lucrative European market, like what Honda has been doing with their new second generation i-CTDi engine. This new Clean TDI engine is part of the BLUETEC offensive initiated jointly by Audi, Mercedes-Benz and Volkswagen. The three German marques intend to establish the term BLUETEC as a universal label to denote clean and low consumption diesel vehicles. 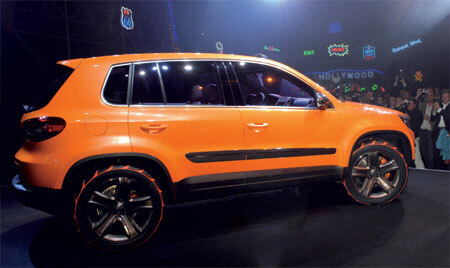 The Volkswagen Tiguan Concept is 1.85 meters wide, 1.69 meters high and 4.40 meters long. 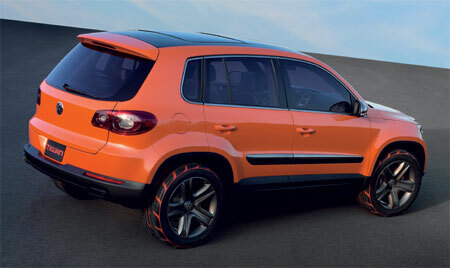 The front is typical of modern Volkswagen cues, and the grille is flanked by xenon headlamps. 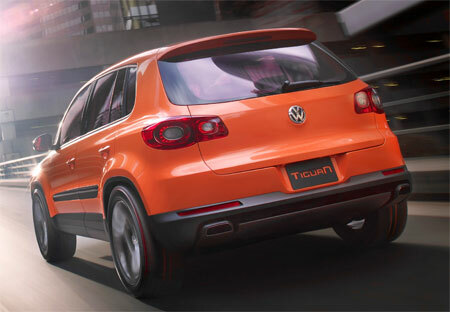 Volkswagen wanted to make sure the new Tiguan is immediately recognizable as a part of the Volkswagen SUV family. Viewed from the side, except for the small VW symbols in the 19 inch wheel rims (wrapped with Continental tyres btw! 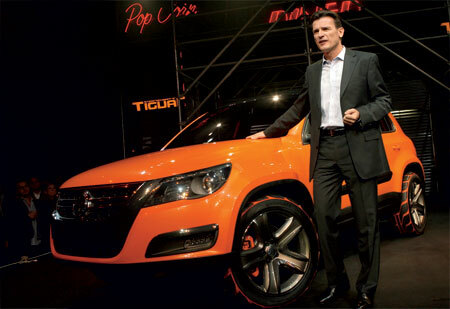 ), there is no logo that â€œtips offâ€ the viewer that the Tiguan is a Volkswagen, yet you can see the sense of familiarity there – exactly like what people have been calling this car, a mini Touareg. 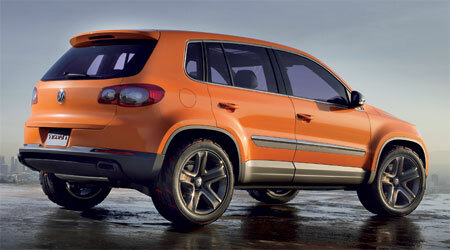 Production is estimated to begin in twelves months time, making this a 2008 model most probably. More photos after the jump.